The word “Ikebana” in Japanese means ikeru (生ける, “keep alive, living”) and hana (花, “flower”). Other interpretations include “giving life to flowers” and “arranging flowers” (source: Wikipedia). Ikebana is more than simply putting flowers in a container. It is a disciplined art form in which nature and humanity are brought together. Ikebana emphasizes other parts of the plant, such as its stems and leaves, and draws emphasis toward shape, line, and form. 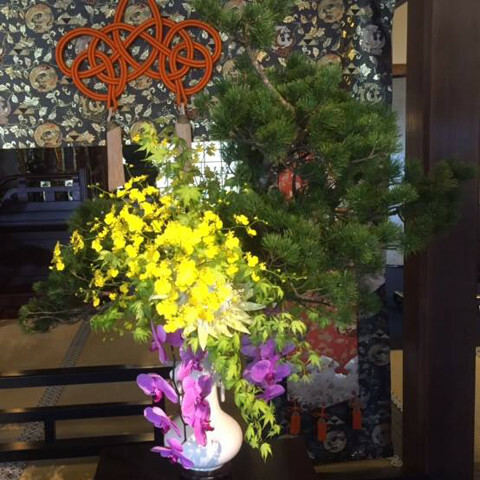 Though ikebana is a creative expression, it has certain rules governing its form. The artist’s intention behind each arrangement is shown through a piece’s color combinations, natural shapes, graceful lines, and the usually implied meaning of the arrangement (source: Wikipedia). Some of the common styles in Ikebana are Rikka (standing flowers), Seika or Shoka (living flowers), and Nageire (flung flowers) styles which use bowl-shaped vases. Then there is Moribana (piled-up flowers) style which uses dish-like container (source: http://web-japan.org/kidsweb/virtual/ikebana/ikebana01.html). 1) Hasami – clippers or scissors used to cut flowers and stems to their desired lengths. 2) Kabin (vase) – tall vase are used in making Rikka style arrangements. 3) Utsuwa – low, shallow container for Moribana style arrangements. 4) Kenzan – a holder with many sharp points which flowers are inserted so that they are fixed firmly. 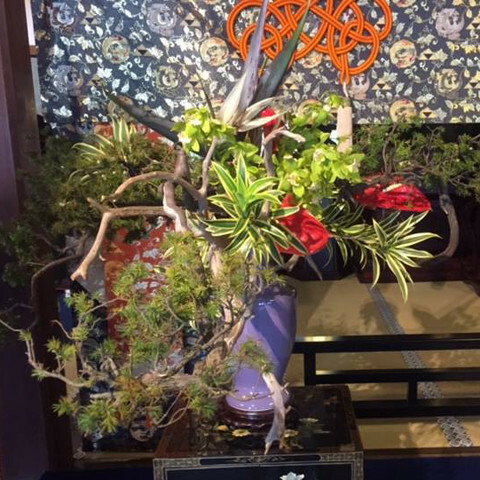 Pictures taken at Ikebana exhibition at Engakuji Temple in Kamakura (北鎌倉,円覚寺). See if you can tell which flower arrangement styles were used in the photos.